I just cannot ignore these great T-shirt Designs coming out of the Port Townsend shirt Company and I wanted to share them with the Kitsap Sun Readers. 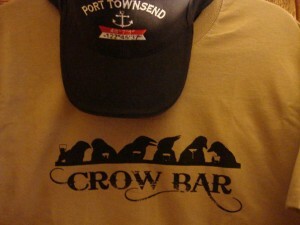 Great T-shirt design is hard to find and I have to say it is very unique that we are finding it in our own backyard. It makes me feel lucky that we have such a great designer in our area. Frank Iuro is the owner of PT Shirt Company and he specializes in the design of T-shirts, Hoodies, Hats, Souvenirs (all from Infant to Adult sizes) he is also bordering on the title of workaholic because he is very passionate about his designs and is totally dedicated to great customer service. If you have not yet visited Port Townsend- you are in for a pleasant day (as the town boasts shops, scenery and salty breezes) that make it a must see destination in Jefferson County. 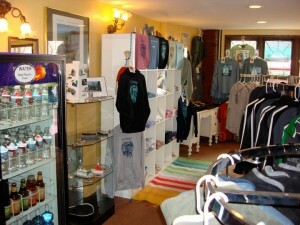 Stop by and (shop till you drop) and say hello to my friend Frank. 🙂 Tell him LisaJ sent you. Thanks Frank… We all need an alibi once in a while! 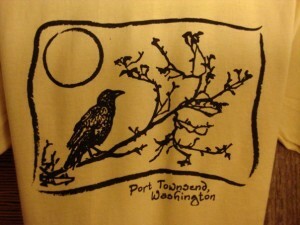 For More Information: Visit The Port Townsend Shirt Company Facebook Page! Designs of the Times -What Inspires You? Design is everywhere. It can be in the food we eat, the art we buy or the Jewelry we wear. The Designs of the Times Blog is about the people, places and things that help us a enjoy the abundance of creativity all around us. Join us as we showcase the rich designs of our surroundings that make up this great area we call home- Kitsap County! We hope to bring inspiration, joy and creativity to all who read our Blog. Barbara J McDonald on KitsapCountyCashMobs.com cash mobbers are getting ready to spend again! Cindy Price on KitsapCountyCashMobs.com cash mobbers are getting ready to spend again!